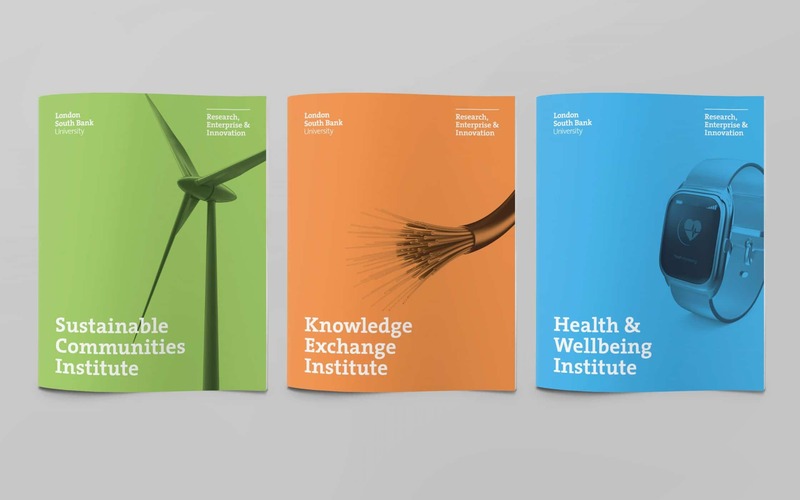 A suite of five complementary brochure designs to promote services at London South Bank University. 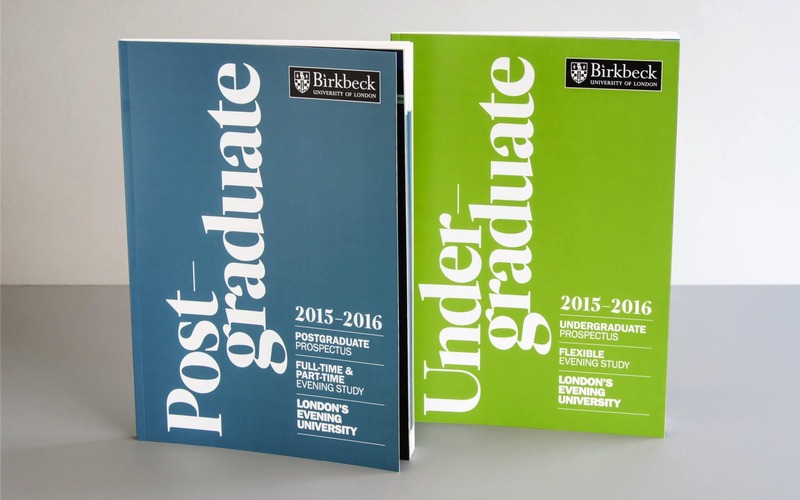 Undergraduate and postgraduate prospectus designs – photography, layout, artwork and production. 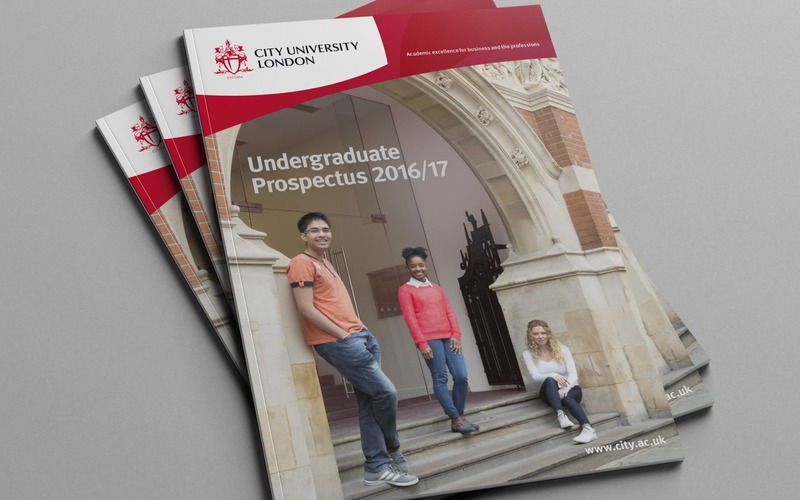 Undergraduate prospectus design incorporating photography, layout, artwork and print production. An unkind but accurate slogan for many annual reports. But why? There is no rule stating an annual report must be boring. Or that the process of producing one should be painful. Exhibit A: a lifeless compendium of numerical gobbledegook. Exhibit B: an attractive and absorbing record of your business’ journey over the last year. On this page we’ll give you a rundown of how you can get your hands on the latter. Your customers and investors are most likely anticipating this document eagerly. We’ll help you make sure they’re not disappointed. The annual report is your company’s flagship document. People who are invested in your success read it to find out how you’ve been getting on. A well-designed annual report is good for business, strengthening both relationships and your brand’s reputation. Of course, creating a corporate report is not easy. You’ve got to keep lots of people happy, manage submissions, choose what to focus on and how to arrange it. Perhaps it’s because of these challenges that many annual reports fall short of their potential. The reason: why are you creating an annual report? What is the desired outcome? Agree a shared goal then create an annual report that helps you reach it. The story: what happened in your business during the past year? What were the highs and the lows? Readers will remember more from a story than a bunch of facts and stats. The structure: what’s the best way to arrange the information? Make sure it has a logical flow, and put the most important details first. Navigation: how best to signpost information so readers can find what they need? Most readers will dip in and out rather than reading start to finish, so make it easy for them. Show, don’t tell: how can you use all the features of the report to make your company’s story compelling? Using design, imagery and infographics in partnership with words will ensure your message leaps off the page. Fabrik is an annual report design agency in London. Our team of skilled annual report designers has perfected the art of corporate reporting. By breaking things down into manageable chunks, we make the journey less stressful. If required, we can get involved at the very earliest stage and help you define the brief. Then we manage the entire process, from briefing to distribution: liaising with contributors, editing and arranging content, and organising photoshoots. So your annual report rolls off the press on time and gleaming. A lot happens during a business year. Choosing what to include in your annual report can be tricky. What’s the big picture? What details do your customers need to know and what can be left out? As a specialist annual report design agency, our objective opinion allows you to regain your sense of perspective. Storytelling. On first glance that word sits uneasily in a discussion about annual reports. But all it means in this context is arranging information in an easy-to-follow structure—with a beginning, middle and end—and taking the reader on a satisfying journey. 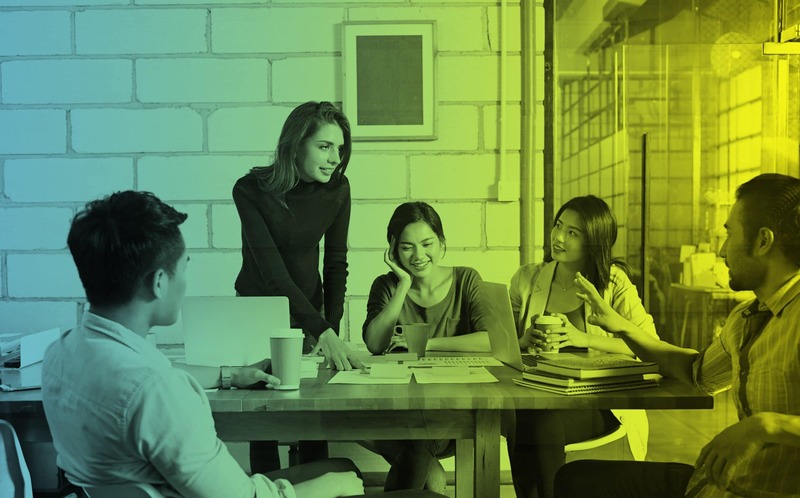 Your brand is not just a product or service: it’s a team of human beings working together for a common goal. So let your personality shine through. The creative parameters are determined to some extent by your industry. But we encourage all our clients to be bold. Eschewing the tropes of conventional annual report design can set your company apart from its competitors. If there is ‘the way it’s always done’ in your sector that’s a good reason to do it differently. Which is not to say you can’t create a traditional annual report that looks fantastic and engages its audience. You can. We do. One of the main challenges we help clients overcome is ensuring the quality of content is sufficiently high. It doesn’t matter how imaginative the corporate report design is if the words are not professionally written and the imagery is substandard. A great annual report design requires investment in copywriting—be it creative, technical, or both—and professional photography or illustration. When it comes to finishing and presenting your annual report, there are many exciting options to explore, including unusual materials, binding techniques, design formats and packaging. Thermo-reactive paper, anyone? However, in order to get to the stage of choosing fancy paper, you need a schedule to keep the whole project on track. What’s your deadline? We’ll work back from there. The sooner you get in touch the better, really. You might be able to provide detailed specifications including your budget and the size and quantity required, or we can work with you to nail those things down. Once the project is underway, we’ll keep you involved at every stage, requesting feedback and sign off regularly. This is to make sure things move forward smoothly. And none of your decision makers get unwanted surprises late in the day. In summary, whether you’re producing your first ever annual report, or it’s something you do every year, it makes sense to do it properly. An annual report design that prompts customers to email you with compliments: that’s a job well done. Fabrik can help you create an annual report that’s both an elegant recap and a catalyst for future growth. It’s time to tell your story… Get in touch today. Fabrik is an experienced annual report design agency in London. As annual report designers of merit, we get involved in every aspect of annual reporting, from copywriting to photography, design and production. We break down the process of corporate report design into manageable chunks, making it stress free and enjoyable for all.